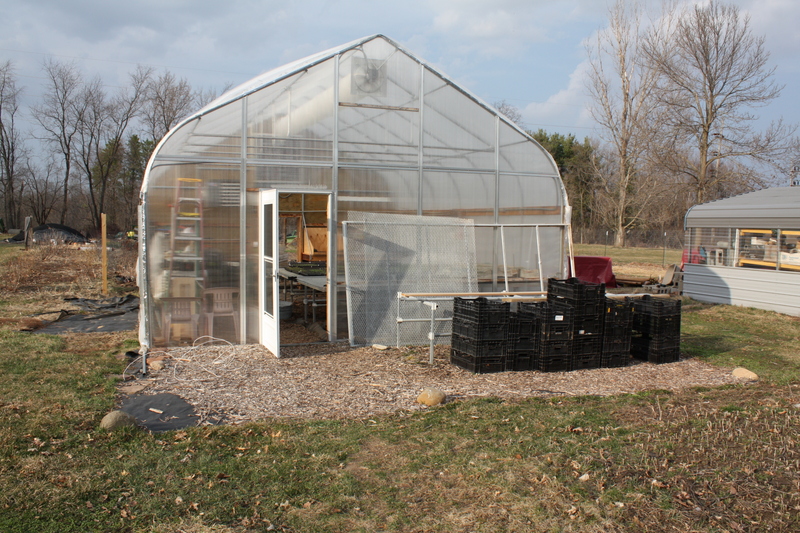 Every day something new is planted in the greenhouse and some sort of forward progress happens in the garden. 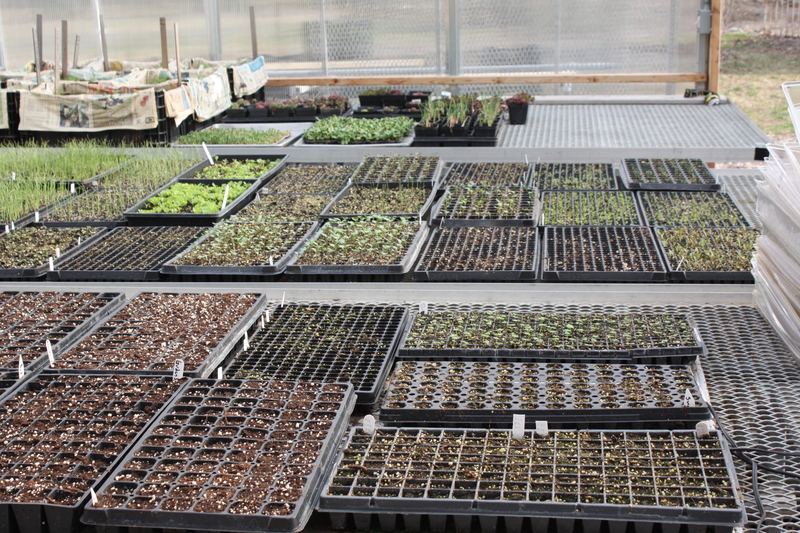 We have had excellent germination of our seeds with all this warm weather and bright sunshine. This extra early weather has made me feel a bit behind in some duties but I keep telling myself to wait…….difficult to do. We have had great success so far with our carrot “experiment” this Spring. We started carrots in February and planted in crates. We are hoping for extra early carrots for all of us. We had a nice crop of spinach winter over as well. We did a test of 4 varieties and 4 different plant dates. 2 survived. I am working on our sprout mixes and we are enjoying pea shoots and sunflower shoots daily as our Spring Greens here at dinner.